Angola is one of the world’s top oil producers but it wants to diversify its economy. As it courts international investment which sectors, is it looking to expand? Near the capital Luanda, LP Eletronica has a new factory handling mobiles phones. Parts come from China with final assembly taking place here. Phones are tested for performance, cleaned and then packed. Commercial Director, Marco Tavares, spoke to Euronews about developing phones domestically. The company expects to produce 30,000 units per month this year, with plans for smartphones and TVs. It also provides jobs for 180 Angolans. An employee, Elisete Lourenço, spoke to Euronews about working for the company. President of business association CEEIA, Agostinho Kapaia, says there are still plenty of other prospects for investors. In former times, Angola was one of Africa's breadbaskets but it’s now, firmly, on the comeback trail. But with scarcely 20 years passing since the civil war, which sectors offer the greatest opportunities for investors? “We have to rebuild everything. Rebuild our roads, and energy and water system” Kapaia told Euronews. Outside Luanda, agribusiness Fazenda Girassol sells 60 different types of fruits and vegetables. It grows them but also buys them from other farmers. 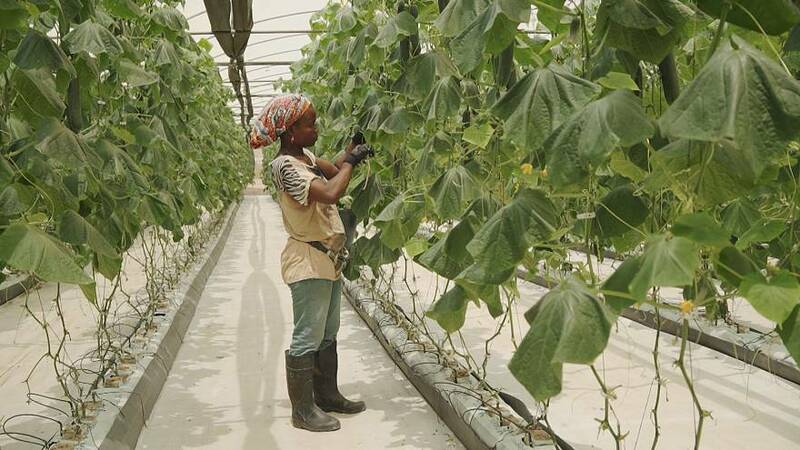 In one of its greenhouses, the company grows cucumbers using drip irrigation. Sensors regulate the mix of purified water and nutrients. Constantino César , Director of Sales and Public Relations, at Fazenda Girassol spoke to Euronews about the company’s goals. Girassol has more than 1100 employees. Crops are cleaned and packaged for supermarkets, restaurants and airline catering. They also have a website for online orders and home delivery. Angola is a market that shows no signs of slowing down with many opportunities for major growth and industry diversification.